Ammeris is undertaking a quiet revolution that is enabling a level playing field for economic and sustainability goals through the application of distributed ledger technology for the benefit of humans and the environment. A secure and shared platform that reduces the need for reconciliation, wasteful interactions, and integrations; one that is powered by data centers using 100% renewable sources of energy to power redundancy and reduce inefficiencies and waste in business processes. An enhanced ecosystem that is technology agnostic and cryptographically secure by way of decentralized and resilient code, while remaining easy to adopt through carefully designed architecture that minimizes learning curves for industry-specific applications. A general-purpose platform of which possesses the ability to scale both horizontally and vertically to support serious, sizable business transactions and volume. This way, developers may navigate the traditional trade-offs of blockchain and facilitate application provisions more easily. Often, dApps require specifically tailored consensus models where complex stakeholder arrangements are necessary. Significant data redundancy on public blockchains without utility have added significant costs of transacting on many networks. There are legitimate concerns surrounding the sustainability of most public blockchain practices and their configurations. Companies are very protective over the privacy and security of their information. Radical transparency and data storage hinders adoption. A sustainable network powered entirely from renewable energy, sourced from multiple countries and technologies (e.g., hydropower, wind, and solar) around the world. A financially viable and stable distributed platform driven by incentive mechanisms which encourages stakeholder participation and user growth. A platform that supports various token designs (e.g., asset-backed tokens, dApp tokens, cryptocurrencies, hybrid tokens, etc.) through smart contracts. A byzantine fault tolerant protocol layer for applications seeking to follow the principles of the decentralized economy. Ammeris in its entirety seeks to democratize blockchain technology and enable the average application developer to leverage the full advantage of distributed ledger technology. ABS builds upon the Enterprise Ethereum Architecture Stack to simultaneously address many of the challenges facing existing blockchain infrastructure platforms. ABS functions will be exposed as REST API, allowing any third-party application developer to create dApps with their technology of choice (e.g., J2EE, .NET, etc.). This set of capabilities enables dApps to be developed with minimum knowledge of blockchain, and provides an efficient, fit-for-purpose platform to support business needs. Which provides for various consensus models through PoST supported by a technology solution that ultimately enables all the advantages of blockchain for commercial and social activity. A solution that fully leverages blockchain to enable seamless business interaction, improving efficiency and reducing integration and reconciliation costs through horizontal expansion. Which provides a stable and predictable environment for businesses to operate globally, with a design and infrastructure that delivers technical architecture that is easy to understand and resolves user/deployment backlogs. Of which enables various levels of ownership functionalities, particularly through MOIaaS, to empower people to control their information, as well as resolve privacy and data storage requirements through compartmentalization. The Foundation ensures the survival and compatibility of the Ammeris Platform with real-world applicability. Beyond the properties built directly into the Platform through the source code and consensus model, the Foundation is operated by a board of directors which has delegated certain responsibilities to four standing committees designed to boost adoption and to ensure that the Platform grows in a way that is commercially viable, equitable, and sustainable. All standing committee charters, minutes, policies, and financial audits are published online at the end of each financial quarter. Of which guides the node accreditation and operation process; establishes modular infrastructure designs; and, designates data and security standards. Which guides development of the Platform and related components; pioneers industry-specific consensus models (under PoST); and, introduces updates to the Ammeris Blockchain and Stack. Which facilitates AMRS price stability and economic expansion; applications of tether instruments; and, encourages blockchain incentive mechanism stability. Which formulates internal and external policies and procedures; executes research steering and innovation grants; and, generates corporate social responsibility policy. As it is critical to operating the Platform and serves as an integral component of the Platform’s consensus mechanism that grants access to system functionalities paid to data centers. As it acts as the mechanism that enables participation on the Platform, including its token economy. It provides participants with the ability to transfer value and information in a predictable and secure environment on a global scale. As it provides participants with the ability to capture the value of the Platform as the digital asset that represents utility and work on the Network. The Foundation has configured the Ammeris Blockchain to issue a supply of approximately 2,190,390 AMRS each year to act as an incentive to support the Ammeris Platform. This rewards both accredited data centers and stakeholders while enabling the Platform’s growth through monetary expansion. Importantly, AMRS will be available for staking by the public in exchange for the Ammeris Blockchain’s mined (block) rewards through the Portal. AMRS acts as the main incentive for renewably powered data centers to support the Ammeris Platform. All users settle low-cost transaction and deployment fees using AMRS, which end up in the hands of Foundation operated and/or accredited data centers. Aside from our non-profit activities supporting the Ammeris Platform, Ammeris operates a group of affiliated entities that offer advisory, development, and asset management services for organizations looking to commercialize their technology on the Ammeris Platform and participate in its green token economy. Our advisory and blockchain adoption services for the Platform are led by Ammeris Advisory, a Cayman Islands-based company which is staffed by global experts in information technology, finance, business development, tokenomics, and communication, specializing in systems design. Ammeris has established a number of advisory services and technical solutions for organizations seeking to transition their traditional businesses toward new and distributed technology. Any adoption or education about getting on the blockchain is spearheaded by our advisory division, who specialize in systems design and is staffed by experts in information technology, finance, cryptography, tokenomics, and communication. Our experienced team has written and reviewed hundreds of whitepaper and offering memorandums associated with successful (and weak) projects. We now offer comprehensive and expert document review that will equip your organization with key insight few in the industry possess. Over the years, members of our team have worked with premier communication strategists who now advise a number of our clients, including you. Our asset management and investment services are led by Ammeris Strategies, a Cayman Islands-based company directed by professionals with experience in capital markets, algorithmic trading, monetary policy, and treasury management expertise. Our asset management services are based out of the Cayman Islands and offer opportunities in the area of cryptocurrencies, algorithmic trading, and project incubation. As a capital manager, Strategies specializes in single investor investment vehicles, and invests in projects and assets designed to support and further the aims of the Ammeris Platform. Our technical development services are led by Ammeris Inc., a Canadian-based company staffed by professionals experienced in security architecture, coding, data networking, cyber security, and energy development, specializing in systems development. Our development lab is based out of Canada offering implementation, advisory, and education for the technical side of our blockchain and renewable energy solutions. The division offers services that design, test, and deploy both public and private blockchain solutions based on the Ammeris Blockchain and Stack, and turnkey energy solutions that include feasibility studies, construction, and management of both traditional and micro power generation. The Canadian regulatory, energy, and economic climate presents the earliest opportunities for the development of a sustainable platform powered by renewable energy assets. Ammeris Inc. has thus partnered with companies with access to low-cost renewable energy supply to support the Foundation in particular, as the availability and cost of electricity is crucial to the profitability, sustainability, and growth of digital infrastructure operators. The Ammeris Platform is a publicly accessible blockchain network designed to host frictionless interconnectivity between people, information databases, governments, global trade organizations, capital markets, and machines. The Platform offers a 100% renewables-powered token economy on the Ammeris Blockchain (its main database) that is complemented by the Ammeris Blockchain Stack (ABS), an enterprise-ready architecture for building, deploying and managing decentralized applications (dApps) through a globally-distributed network of permissioned data centers delegated by the Foundation. The Platform is now onboarding and incubating businesses and organizations seeking to use a sustainable and long term oriented network for their applications that is easy to use – creating the beginning steps of a global decentralized ecosystem. The Foundation is an essential plank of the Ammeris Platform's strategic governance approach, and has been tasked with the mission of delegating consensus while overseeing and building away from centralized, inefficient, and environmentally detrimental systems by offering a sustainable, interoperable, and scalable solution that balances between the traditional trade-offs of blockchain. The Ammeris Platform is governed by four standing committees at the Foundation designed to boost adoption of the technology and to ensure the Platform's ecosystem grows in a way that is commercially viable, equitable, and sustainable. Paul is an experienced leader in business, serial entrepreneur, and financial professional, who has held several senior operational and finance roles in a range of publicly and privately-owned companies located in London, New York, Amsterdam, Vancouver, Hong Kong, and Monaco. Paul’s previous technology experience includes Modex Tech, Vinci, and serving as Advisor to Humaniq, Howdoo, Autobay, and SID. 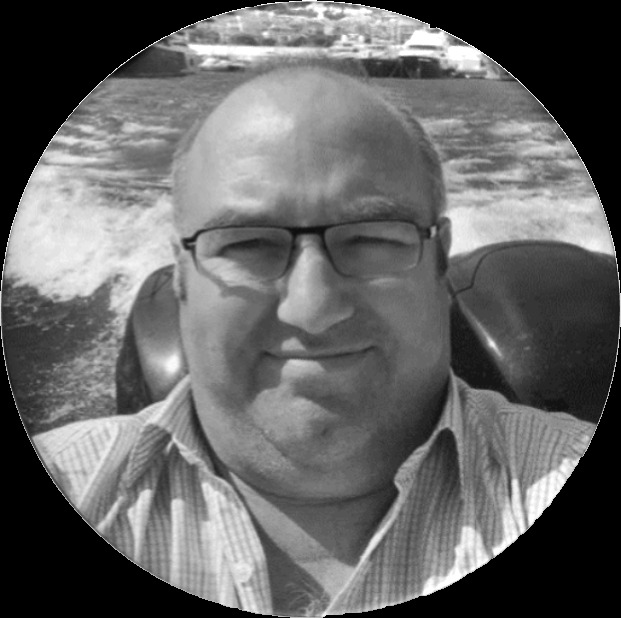 Paul is a UK Chartered Accountant who started his career in the entrepreneurial services division at EY London before progressing into various commercial finance management roles. Over the last five years, Paul has become a serial seed investor focusing on biotech, medical devices, fintech, and technology along with its applications. He brings invaluable experience as a business angel in over 20 companies, and specializes in tokenomics, DLT consensus models, community engagement, and strategic advisory at Ammeris. Paul holds a Bachelor of Science in pure mathematics from Loughborough University of Technology. Erik is an entrepreneur and analyst with executive experience and a fundamental background in political science. He first entered the world of entrepreneurship in 2011, then discovered digital assets and blockchain technology in 2013, from which point he became an investor and trader in the asset class. He has previous management experience as Managing Director of Agency Imports. 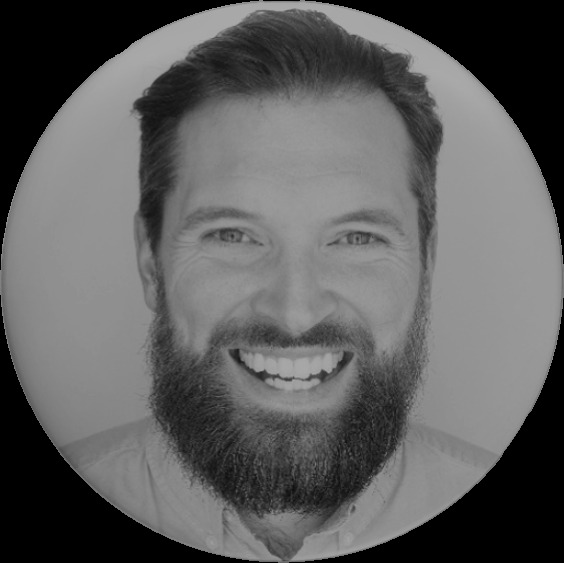 Erik brings with him 10 years of business, finance, government, economics, capital markets, and project management knowledge. Erik’s experience in the digital asset space taught him to navigate volatility in the blockchain/crypto industry, and his comprehensive understanding of institutions and ability to engage people has equipped him to translate the benefits (and faults) of blockchain-based technologies to leaders in both business and government realms. He specializes in tokenomics, DLT consensus models, and is responsible for strategic ideas, innovation, and practicing the qualities of transformational leadership at Ammeris. Erik holds a Bachelor of Arts degree in political science and is completing his dissertation for a Master of Arts degree in political science at Dalhousie University. 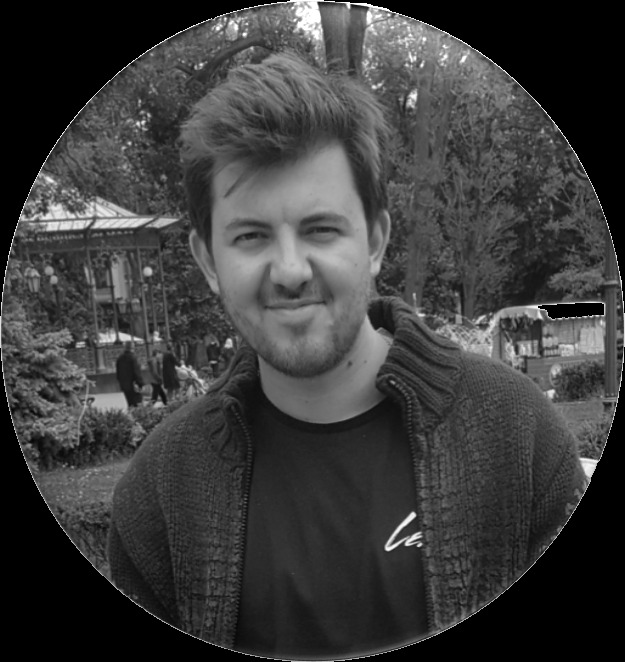 Matthew is an experienced founder and builder in decentralized technology and renewable energy. With a strong background in cleantech and social enterprise, he was recently part of OpenHydro’s tidal energy project in Nova Scotia’s Bay of Fundy - the first interconnected in-stream array deployed on the world’s strongest tides - and co-founded a crypto mining club in Halifax. He previously worked as VP for venture development studio BlockCrushr Labs. Matthew’s early career included work in accounting, banking, not-for-profit, and government, before diving into the world of entrepreneurship, renewable energy, and information technology. Through founding his first consultancy, Fosch Capital, Matthew has worked with over 100 companies - single handily raising tens of millions of dollars in non-dilutive funding for clientele. He is responsible for technology and energy development at Ammeris, including complex data center design. Matthew also assisted in both internal and external projects with fundraising strategies through both traditional and innovative methodologies. Matthew holds a commerce degree from Dalhousie University. Raphael Hukai is a former CIO (Equity Bank Group) and experienced executive consultant/architect at IBM. Raphael has deep industry experience in financial services, as well as airline, retail/eCommerce and life sciences. After 16 years with IBM, Raphael became specialized in helping banks setup IT vision and strategy, manage adoption of new technologies, establish overarching architecture and governance, along with improvements to the quality assurance of IT programs. With near 30 years of professional and leadership experience, Raphael has developed unique capabilities of translating technology into practical and actionable business value, then packaging it for different C-Level stakeholders and other audiences. With deep focus on fundamentals of value-chain analysis, he has become predisposed to helping blockchain technology providers position their innovation into the sweet spot of the marketplace. He believes clear vision with solid execution brings success to business. Before joining Ammeris, Ian worked with firms such as IBM and PwC in their financial services teams in the Middle East. Ian’s resume of clients includes HSBC, Bank of America and BNP Paribas Fortis as well as six years with Deutsche Bank in London and New York. 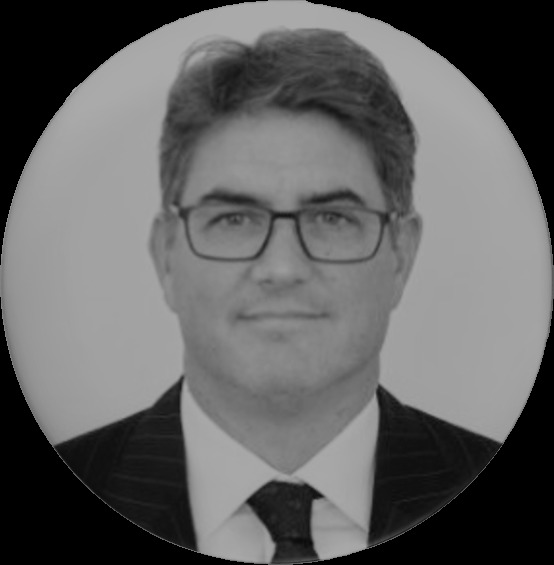 With more than 20 years of professional experience in finance and technology, Ian is responsible for tokenomics, DLT consensus models, and growth strategies at Ammeris. 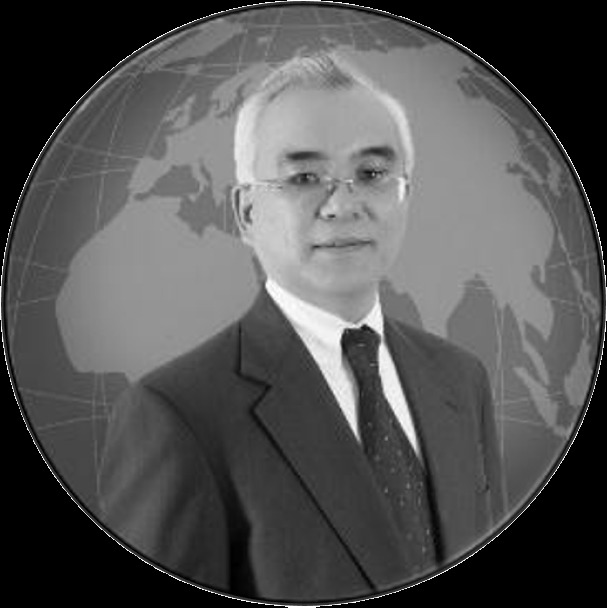 He delivers professional services for start-ups, established organizations, and corporate clients looking to transform their technology and operations to integrate with new industrial paradigms including distributed ledgers, crypto assets, and energy economics. Ian holds a Bachelor degree in economics from Loughborough University of Technology. Ammeris Inc. founded in Canada. Ammeris development catalogue launched (Ammeris Inc.) Website (www.ammeris.com) launched. Agreement signed with hydro-powered data center. Agreement signed with first blockchain client Whitepaper draft completed. “Permissioned Node” whitelist launch Yellowpaper draft to be completed Private ICO round begins. Ammeris Portal (beta) launch Yellowpaper (version 1) to be published Presale ICO round 1 begins. Ammeris Fund to be created. Mobile wallet (beta) application launch. Presale ICO round 2 begins. Ammeris Platform launch (Ammeris Blockchain genesis).